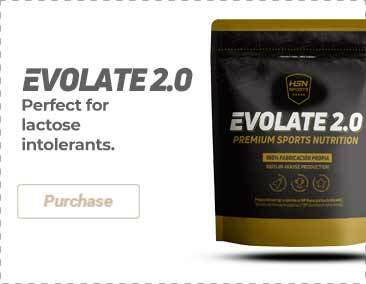 In this section, you will find a broad repertoire of the characteristics and specialties of our HSN products, an in-depth classification of what is more remarkable of our food supplements. There, you can find food without gluten or lactose, supplements suitable for vegetarians and/or vegans, and an endless list of nutritional properties. We want to offer full information about our sports products, and help you choose consciously. With HSN Specialties you will be able to buy organic products, without artificial colourings, or 100% natural food. Purchasing HSN Specialties is a guaranteed success for those like you who care to follow a healthy diet and who add specialised products to their daily diet. 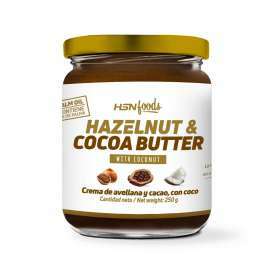 The hazelnut + cocoa + coconut combo is delicious! I chose this one over the one with peanut because I thought peanut has a stronger flavour, I guess I made the right choice! Great fat burner, specially if you combine it with other thermogenic supplements and exercise, obviously!